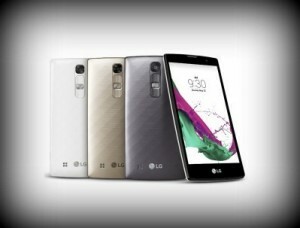 A dedicated website of LG in India is taking preorders for its 2015 flagship smartphone LG G4. Those who pre-order LG G4 before June 15 can meet Bollywood actor Amitabh Bachchan and receive the handset from him. The official site is also offering free offers with the purchase of the device. Mumbai: LG G4 sports 5.5 inch display and the resolution of it is 1440 x 2560 pixels. It weighs 155 grams. The handset is powered by hexa core Qualcomm Snapdragon 808 processor whose clock speed is 1.8 GHz. The processor is paired with 3 GB RAM and the internal storage is 32 GB. There is facility to expand memory via micro SD. The handset comes out of the box with Android 5.1 Lollipop operating system. Connectivity features of the handset include WiFi, 3G and Bluetooth. It comes equipped with 16 megapixel primary camera and there is 8 megapixel front facing camera also on board. Battery under the hood is 3000 mAh. The free offers for the customers who pre-book their LG G4 here metallic finish cover, free one time screen replacement that is worth Rs. 6,500 and free extra battery with charging cradle. A Mumbai based retailer hinted that LG G4 will be launched in India in the middle of June and the price may be around Rs. 51,500. This entry was posted in Launches, Tech on June 1, 2015 by Rakesh.